. You can also subscribe to the premium print edition here. 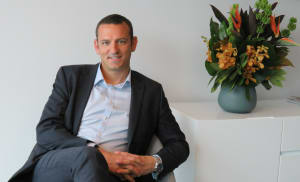 Six months ago, Paul Brooks took the helm of Carat, one of Australia’s largest media agencies. 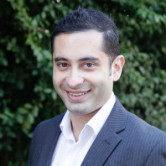 He succeeded Simon Ryan, now Dentsu Aegis Network AUNZ boss, at a challenging time for media agencies and the industry. AdNews caught up with father of three to find out how he has transitioned from Amplifi and his views on the industry’s most pressing topics. "Carat is at an interesting stage from an industry perspective where I think a lot of businesses need to evolve so we’ve spent a lot of time listening to our people, clients and stakeholders how we go about that," Brooks says. "I think as an industry we often try to second guess what clients want and deliver services that they potentially might not want. I think we can be a lot better at arranging our business around client requirements, making sure they’ve got the right type of client leadership. This involves really trying to understand their business and not just from a media lens." To read the full article download a digital version of AdNews. You can also subscribe to the premium print edition here. This is a free excerpt from AdNews May Magazine. To read the full article download a digital version of AdNews. You can also subscribe to the premium print edition here.